空 means "hollow" or "empty". It looks like tent opening (穴). There is nothing inside. 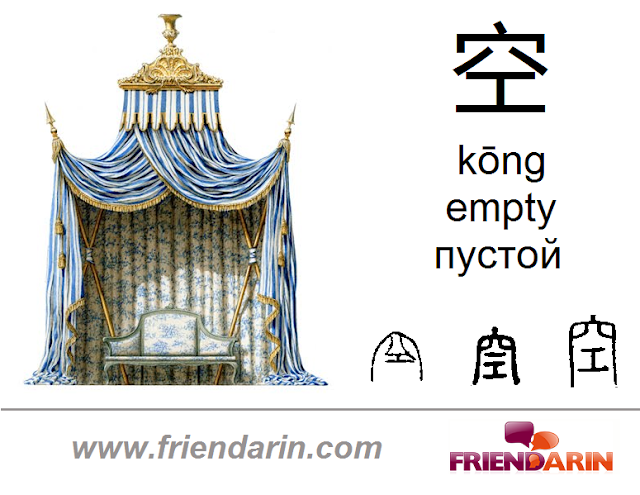 Here 工 (gōng) is just a phonetic element. The purpose of education is to replace an empty mind with an open one. See the link below for more info.